The BX hits the road – HubNut – celebrating the average! As she sat on the ramp and I got my first proper look at the underside, it was pleasing to see how solid she was. There was a touch of softness in the sill – not near anything critical thankfully – but it’s the nearside sill, which has a ruddy great dent in it anyway. It will be replaced at some point. However, the tester spotted what looks like a serious leak from the water pump. I’d spotted this myself at home and had hoped it was something else. It may be battered and bruised, but the BX is now road legal! That’s not a real biggy – if you’re changing the timing belt, it’s sensible to fit a new water pump at the same time anyway. If the pump seizes, the belt will rip and the valves of the engine will meet the pistons. Bad news indeed. Parts are on order so look forward to a report on how the change went. Amazingly though, I got my MOT pass! Or rather the car did. Yes, she looks dreadful but as I thought, she’s actually a good, solid car beneath all the dents. As she’d been in regular use before being stored (and stored pretty well) she feels ready to go. I’m under no illusion that this project is a long way from over. There is considerable expenditure on bodywork to occur at some point, and the to do list remains sizeable. The priority, as ever, is to get her in regular use and hopefully tackle some of the major bodywork projects next year. That’s just great! The only known BX RHD Estate survivor, am I right? Do you know what the new owner will do with this car? It is quite battered, sure, but if possible, I’d let it stay as original as possible. I mean… it’s a historic BX. :–) Or if it is too bad (for example lots of rust etc. ), then really restore it, but completely. Anyway, I’m happy that this BX survived. We thought it was the sole surviving RHD Mk1 estate at the time, but a couple more have been found since – one on Malta. 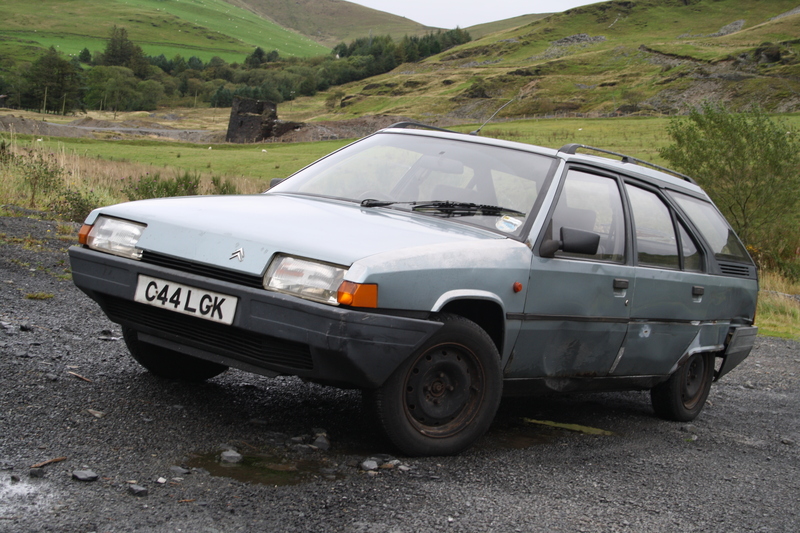 New owner has been gently restoring it, but it still looks marvellously dreadful.